-Bill♥. . Wallpaper and background images in the Bill Kaulitz club tagged: bill kaulitz singer tokio hotel band music th twins. 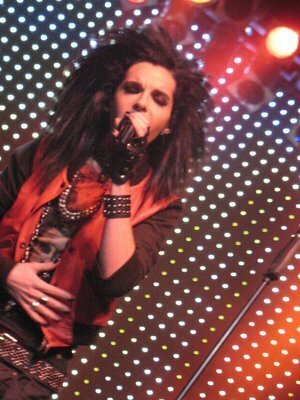 This Bill Kaulitz photo contains コンサート. There might also be ギタリスト, ギタープレーヤー, and ギター プレーヤー.